Our baby girls is 21 months old this month, she's growing so fast! I was thinking of letting her self-wean, but we are really eager to give her a sibling. Of course being pregnant and breastfeeding has been done for eons and I wouldn't mind - that is if I wasn't so underweight. I feel that she is literally draining me and I really need at least a small break before another baby. So we are weaning gradually over the course of four months, it has already been almost a month and we're down to three feeds a day. My concern with weaning right before winter was her developing immune system. With all the viruses going around I felt it is important to at least give her something to supplement the vitamins she is getting from me and will no longer have. With breastfeeding I can count the times she's been sick on one hand, or half of it actually! 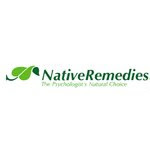 We were excited when Native Remedies contacted us to write a review of their great products. 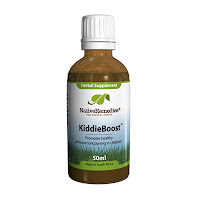 We chose to try the Kiddie Boost with a combination of Echinacea, Astragalus membranaceous, Inula helenium, and Withania somnifera for immune system support. We also tried the Kiddie Florish to promote a healthy appetite. Though she eats anything I give her, she doesn't eat a lot and she's in 25 percentile for weight - our holistic pediatrician is slightly concerned. Ease of use: All of the remedies are really easy to use and come either in drop liquid form or tablets that can be taken without any water. Our remedies are liquid, I add the drops to baby E's favorite drinks such as water, rice milk, and diluted apple juice. Our Experience & Value: Alright, so I am not sure if this was a coincidence, but when I gave my daughter the KiddieFlorish drops in her drink half an hour before her meal I couldn't recognize my child! Perhaps she is also having a growth spurt, perhaps she was just hungry, but she never ate that much in one meal! She ate the portion of soup I gave her, then asked for more and ate that, and then asked for some of my soup. To top it off she ate half a piece of bread which she never eats and then proceeded with her dessert. If I knew this works so well I would have tried it earlier! I give it to her at least once a day and she continues to eat a lot better than she used to. The KiddieFlorish costs $34.95 or you can buy two and get one free. The KiddieBoost is something that really needs some time for us to see how it works. We've already started using it, but I am looking forward to using this before and through this winter as we wean our daughter. There are many ways we try to minimize sickness in our home, like good nutrition, fresh air, washing hands, and avoiding crowded places. This is a great addition and I love that it is so easy to just add a couple of drops to a drink. The KiddieBoost is available for $34.95 as well and you can also buy two and get one free. How is this green: Instead of resorting to chemicals and pharmaceuticals for keeping your child 'healthy', why not use everything nature already has to offer? To me personally it is just common sense, but I know many people are not comfortable with anything that doesn't come out of the doctor's office. You may be surprised to learn that many doctors actually prescribe Native Remedies products to their patients, at least those that know pharmaceuticals are not to be used like candy. Perhaps if more people used natural remedies first, we wouldn't be drinking so many pharmaceutical byproducts in our tap water. Taste: The remedies have a medicinal herbal smell, but when diluted in my daughter's drink according to the directions I couldn't taste anything and there was a very slight herbal smell diluted in water. With juice you couldn't tell the difference. Perfect for toddlers! 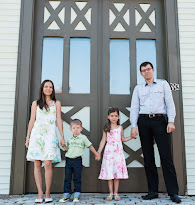 About the Company: Native Remedies has been offering natural health solutions since 2002. They have over 500,000 customers worldwide and make over 250 herbal and homeopathic remedies for adults, children, and even pets. All Native Remedies products are manufactured in an FDA and GMP registered pharmaceutical facility under the supervision of an expert team of herbalists, naturopaths, homeopaths and responsible pharmacists. Who Would You Recommend this to? KiddieBoost: Babies being weaned, children in school or daycare, for any children during flu season. KiddieFlorish: Fussy and/or picky eaters, underweight toddlers and children. Native Remedies also has many other natural prevention items and herbal remedies for anything from pregnancy, beauty and personal care, to weight management, psychological health, senior and men's health. Can you give me an update on this immune booster? I have a 2 year old and 9 year old and I want to plan ahead.